The guitar has had a long association with popular music. At Red House, we start with basic chords and scales, before tackling simple songs. 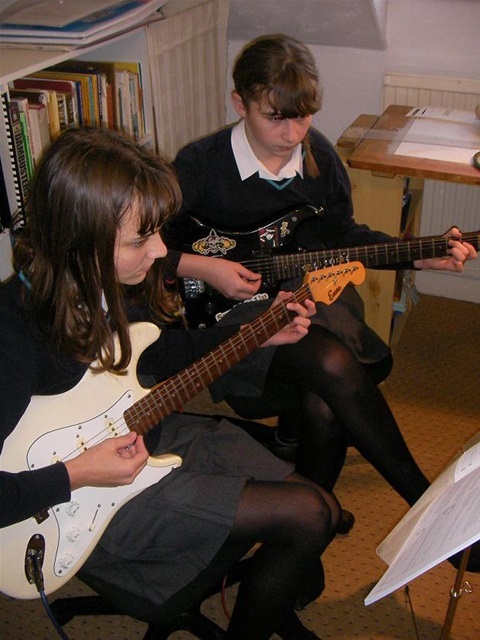 Once established, we use the Rockschool Grade system as the 'textbook' on which to build confidence, enabling us to choose other songs to play as well, from Debut level to Grade 8. The styles I cover are pop, rock and blues, with nods to folk, jazz and funk styles. We also look into the theory behind it all, such as major and minor scales, key signatures, chord construction or time signatures. I do not teach classical or Spanish styles.